SAN FRANCISCO -- Alcatraz was a federal penitentiary for nearly three decades. During that time, there were 36 escape attempts: 23 were caught, six were shot and killed, and two drowned. But three men -- brothers John and Clarence Anglin and Frank Morris -- have never been found, CBS San Francisco reports. Fifty-five years ago in June, they pulled off one of the greatest prison escapes in American history. Today, there's something about the old prison that brings nearly 4,000 visitors by the boatload to the island on any given day. "They crawled out of their cells, up on the roof, and escaped into the San Francisco Bay, and that you got to give it to them, they broke the system," said National Park Service Park Ranger John Cantwell. Cantwell has been working on Alcatraz for 26 years. He says the allure is partly fueled by popular shows and Hollywood -- including the movie "Escape from Alcatraz" starring Clint Eastwood. A look at the infamous cell where the trio of bank robbers began their months-long plot -- among cells normally off limits to the public -- shows it to be about the size of an average pool table, five by nine feet. On the night of June 11, 1962, they decided they were ready to go. After squeezing through the cement wall, they climbed up a network of pipes and plumbing before making it onto the roof. They ran across it to the north end of the prison, and used the smokestack to slide down to the ground. The inmates used 50 raincoats to make a raft and paddle away -- no one knows if they made it to shore or died trying. They constructed their getaway materials in a secret workshop they set up on top of their cells. Paddle-like pieces of wood and part of the raft washed up near Angel Island. The next morning guards found dummy heads made of plaster, paper maché, paint and real human hair in their cells. "Very sophisticated with all the moving parts," Supervisory Deputy U.S. Marshal Michael Dyke said of the plans. "They did a lot of work, they read Popular Mechanics magazine, they had access to stuff from the library." The 1960 Popular Mechanics issue was found in one of the cells, featuring a how-to on raft-making techniques. Dyke has been working this case for the last 14 years. To this day, he still gets one or two leads a month -- most turn into dead ends. "There's theories about if they left at a certain time the tides would have been in their favor and they could have made it ashore, there's theories that they were in South America," said Dyke. "In my general sense of it, there's a more likelihood that they didn't make it." The National Park Service says hypothermia took the men down. "The Federal Bureau of Prisons say that they drowned once they got off of Alcatraz and their bodies were swept out to the Pacific Ocean -- end of story," Cantwell added. If the men are alive today, Frank Morris would be 90 years old and John and Clarence Anglin would be 86 and 87, respectively. "I believe they made it to shore, no one knows," said former Alcatraz inmate William Baker. "They might be in Brazil; I doubt that." Baker was 23 when he did time on Alcatraz. He knew Frank Morris. "He was a very quiet guy, very patient guy, and he was a guy that could actually do things, mechanically," he said. 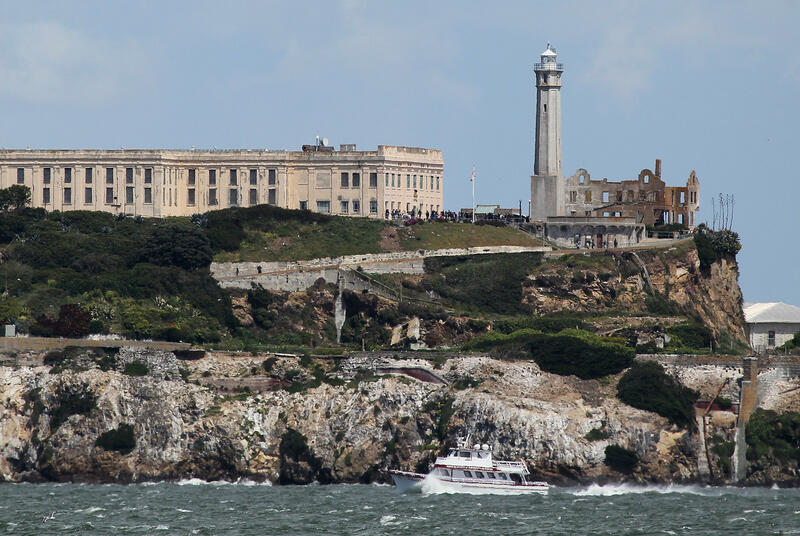 The men's ingenuity was as great as their desperation to escape from Alcatraz, now one of America's most popular tourist attractions.